By CCN.com: According to a trader and crypto technical analyst, November 2018 may have been the last sell-off of Bitcoin and a long consolidation period is expected throughout 2019. Since experiencing a steep 13 percent drop on January 10 from $4,036 to $3,502, the Bitcoin price has been relatively stable in a tight range in mid-$3,000. What Does Low Volatility Mean For Bitcoin? While it seems as if the price of Bitcoin has been volatile throughout the past two weeks, the volatility of the dominant cryptocurrency occurred in a tight range between $3,500 to $4,000. No major movements below or above key support and resistance levels were recorded, preventing any meaningful short-term price movement. One trader said that if the trend of relatively low volatility in a tight low price range continues, the sideways action of Bitcoin will extend throughout the year, resulting in a long consolidation period. “The longer this sideways action takes place the more I think the bottom is in. November was one of the worst monthly candles in history. It’s very possible that was the last of the major selling and now we’ll have a consolidation period that lasts most of 2019,” the trader said. On Sunday, Bitcoin recorded a six percent drop against the U.S. dollar in a 24-hour period from $3,700 to $3,470. 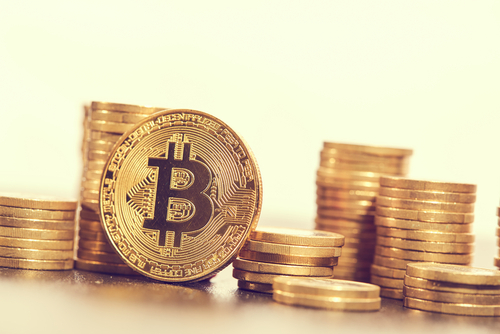 The asset has since recovered above the $3,500 mark and based on the performance of the asset in the last 48 hours, Bitcoin is expected to demonstrate stability throughout the week. Inside Bar; Low that was taken out (3480) holding as support; Continue leaning neutral here, can’t short HTF support, will wait for a break (even moreso when confluent with that CME gap). A slow grind upwards in the first two quarters of 2019 could allow Bitcoin to establish a proper bottom and a mid-term trend reversal. If the price of asset recovers quickly in a short time period, as seen in the major sell-off of cryptocurrencies in November 2018, it can leave the asset class vulnerable to a large short-term correction. With events that are considered as catalysts to fuel the momentum of Bitcoin in the first two quarters of this year including Bakkt and Bitcoin exchange-traded fund (ETF) far from being materialized due to the shutdown of the U.S. government, it has become more likely for the cryptocurrency market to demonstrate a low level of volatility in the upcoming months. How About Alternative Crypto Assets? Historically, alternative crypto assets, especially low market cap cryptocurrencies, have tended to perform strongly against Bitcoin when the asset is in a sideways market. However, as seen in the performance of tokens and other major crypto assets in the past 48 hours, the stability in Bitcoin is unlikely to trigger short-term rallies for assets with lower volumes and valuations due to the current conditions of the market. Some analysts believe November to have been the last sell-off for Bitcoin and expect a several-month-long consolidation period to occur.